Dr. Sharde Harvey always appreciates feedback from her valued patients. To date, we’re thrilled to have collected 6 reviews with an average rating of 5 out of 5 stars. Please read what others are saying about Dr. Sharde Harvey below, and as always, we would love to collect your feedback. Highly skilled, knowledgeable. competent and customer focused professional. Her supportive dental care team is friendly and qualified. The office is impeccably tidy with state of the art technology for an efficient and expedited outcome. It was a Specially unique and highly recommendable experience. Dr. Harvey always makes me feel so comfortable when I come in and is honestly the best! I didn't enjoy going to the dentist when I had a different primary, but she makes the experience painless. I highly recommend her. Solid! Courteous, attentive staff. The service almost feels like being at a fancy hotel front desk. Top notch dentistry work without flaws. Not that I want to but I'll be back with upcoming dental needs. 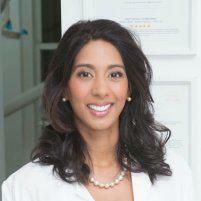 Dr Harvey is knowledgable, experienced and very good at what she does. Dr. Harvey and her team do a great job. She explains things and offers alternative treatments if necessary. I recommend her office. Procedure was Arduous for both the dentist and her assistant (plus me) but both were very professional and thorough. Dentist diagnosed an issue that if left undetected could have developed into a significant problem. Best in class in my view.